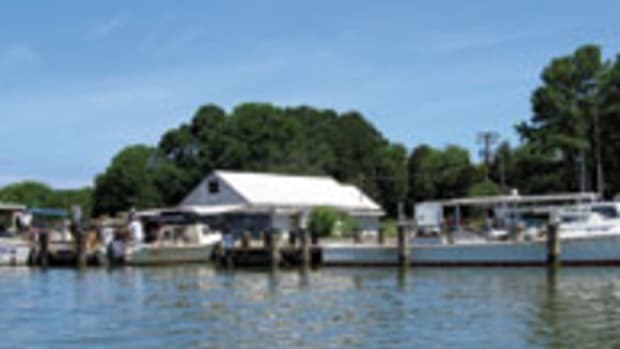 As a youngster, boatyard painter Norman Gross fished, crabbed, clammed and oystered with his father and uncles and cousins — all working out of a community of black watermen in Shady Side, Md. But instead of “following the water” like them, he became a yard worker and is now an accomplished professional in a demanding art. 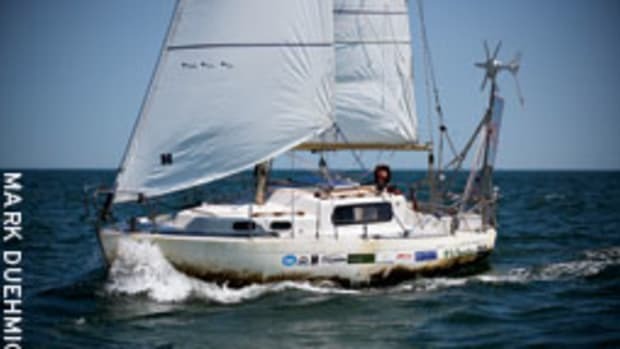 A gentle, soft-spoken man who looks a decade younger than his 52 years, Gross never forgot his happy days on the water working with that lost generation of Gross watermen. I came to meet Gross at Casa Rio Marina in Mayo, Md., when seeking his expertise while trying my unskilled hand at the roller-and-brush technique of topside painting. He is a fast worker and makes it look so easy. He freely offered his guidance without any cruel criticism, and I have tried to follow it, although my work is certainly not up to his high standards. This year I’ll try again to get it right. 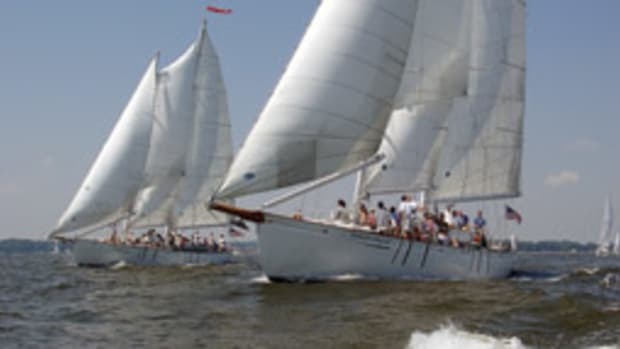 Norman Gross branched off on his personal, emotional project to memorialize his watermen relatives and their long-gone workboats two years ago when his father, Frank, and mother, Mary Myrtle, died within months of one another. 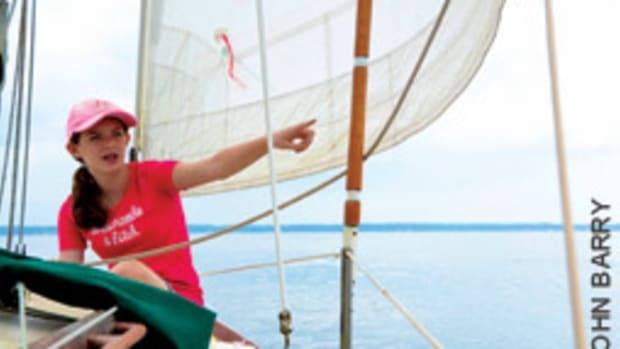 “I decided to get this project under way before other watermen in the family died and their boats were gone, too,” he says. 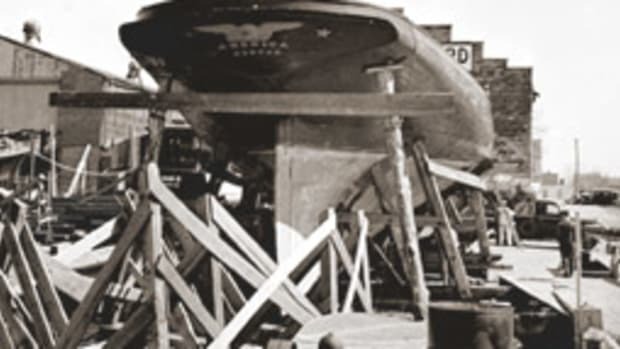 Frank Gross did not live to see the model of his 38-foot workboat, Miss Myrtle, named after his wife, who loved fishing with her husband in the summer when he outfitted his headboat for private, guided charters. The model depicts Frank netting a fish and his wife wetting a line over the side. The miniatures are action figures — stripped of their armaments — dressed in work clothes hand-made by Gross. “I paint and dress them to look as much alike as they did way back then when I helped out as a boy and young man,” he says. “Those were wonderful days, and I guess I developed a photographic memory of those boats. I really didn’t know I could do this until I started.” Incidentally, these models are not for sale, although he might consider an offer to build a model for someone. Uncle Rodney (Frank’s brother) purchased his 40-foot workboat in the early 1960s and kept the name, Puddin. 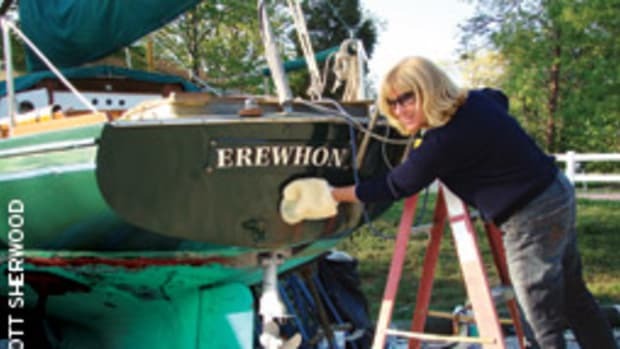 It was a wooden cabin cruiser, but he converted her to a no-nonsense work platform for all seasons. 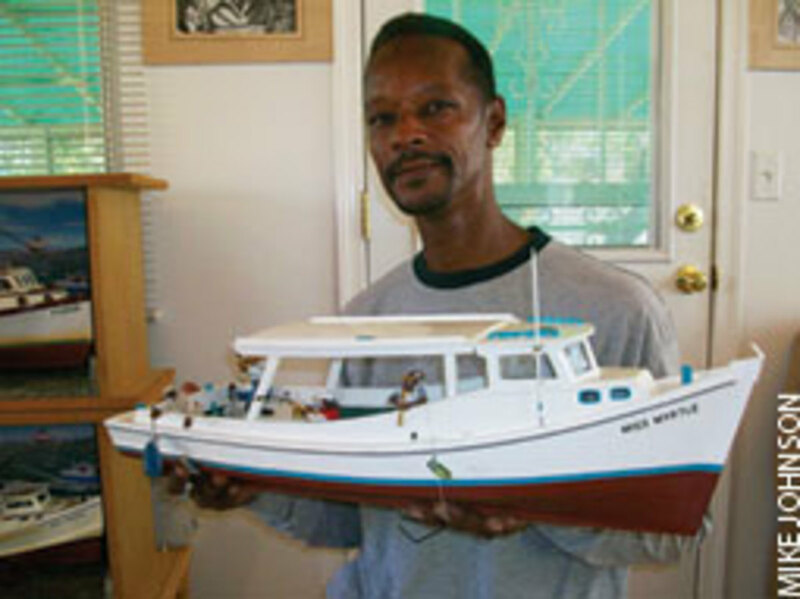 His son, J.R., took over the boat and the operation after Rodney’s death some 25 years ago, and the model’s figurines are still hard at work. One of his newer models represents the Estelle B., once his Uncle Paul’s workboat. Gross depicts her with an oyster patent-tong rig. 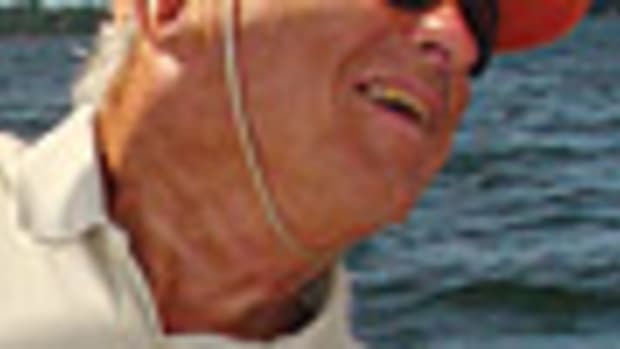 “Paul Gross died last year and did not get to see my model,” he says, which will not be finished until he adds copper sheathing on the bow in the waterline area as an ice guard. All the boat bottoms are painted with the old “Baltimore Red” color, a coating that had a high copper content. 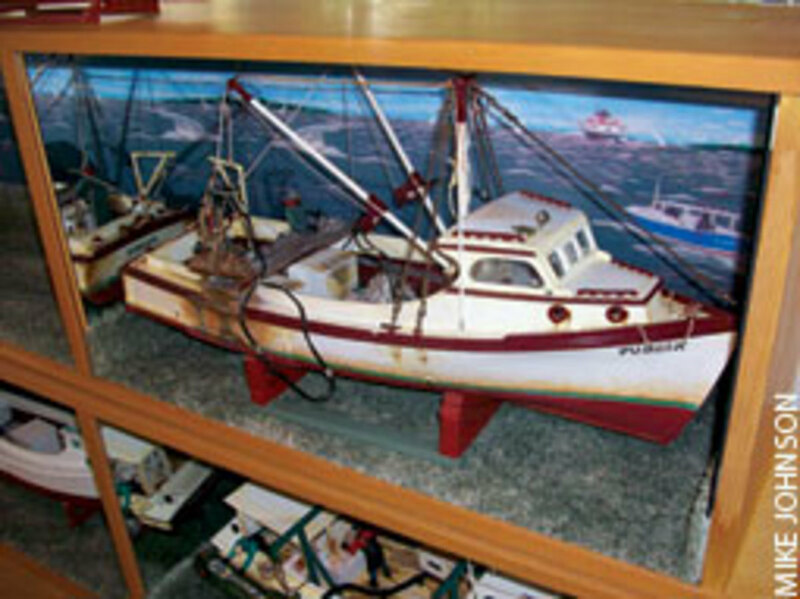 Another workboat model, rigged for clamming, depicts the Miss Amanda, which was built of wood by Norman’s late cousin Harold Holland. “When I finish each model, they look too new, and I have to add dirt and grime for wear and tear,” he says. The finished models are complete — even to cable controls, wood frames and rust marks seeping out from old fasteners in the planks. The last members of the Gross family still working on the water — K.D. and son, Bevel — own and operate the K.D. Gross Pile Driving Company in Shady Side. 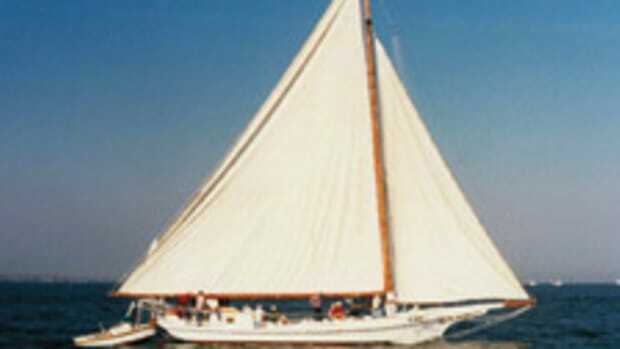 Shady Side waterman Jim Gross was K.D.’s father, and Norman will model his buyboat after the family’s old buyboat, the J.P. Moore. Although Gross’ models aren’t for sale, his personal boat, in the water at Casa Rio, is for sale at $5,000. This refurbished 24-foot Wellcraft, a 1972 fiberglass cabin boat with a 350-hp Chevy, is named Linda Mae, after his wife, who boasts that Norman is just as good at house remodeling and repairs as he is at boat painting and building models.